Source of Materials: Provide materials obtained from one source for each type and color of tile, grout and setting materials. ANSI® A108.1 - Installation of ceramic tile with portland cement 1. ANSI® A108.4 - Installation of ceramic tile with water resistant organic adhesives. ANSI® A108.5 - Installation of ceramic tile installed with dry-set portland cement mortar or latex-portland cement mortar. ANSI® A108.6 - Installation for ceramic tile installed with chemical-resistant epoxy. Certificates of Compliance: The manufacturer shall furnish Certificates of Compliance stating conformance with all requirements of American National Standards Institute Specification ANSI® A137.1-2012. Master Grade Certificate: Furnish Master Grade Certificates for each shipment and type of tile signed by the manufacturer and the installer. Samples: Submit samples of each type of tile for each color and texture required, not less than 12” square. A full-size sample of each type of trim for each color is required. Deliver to job site and store packaged material in original containers with labels intact. Prevent damage to materials by water, freezing or other causes. Project Conditions: Maintain temperatures at not less than 50 degrees Fahrenheit in tiled areas during installation and for 7 days after completion unless higher temperatures are required by manufacturer’s instructions. All tiles are Standard Grade complying with ANSI® A137.1-2012 as manufactured by Florida Tile Inc. or approved equivalent. Sizes, colors, textures and patterns as selected by the architect. See drawings and schedules. Provide trim of the same color, size and finish of adjacent flat tile. Accessories - Furnish cast vitreous china accessories to match or harmonize with color and finish of adjacent wall tile. Accessories required where shown on drawings. Materials: Provide materials to comply with ANSI® A108.1 as required for installation method designated. Cleavage Membranes: Polyethylene film. 4 mil. ASTM C171 Type 1.1.2. Reinforcing Mesh: Welded wire fabric ”x” 16/16 gauge. Dry-set portland cement: ANSI® 118.1 water retentive Portland Cement, sand and special latex additives. Latices vary considerably. Follow manufacturer’s directions explicitly. Organic Adhesive: ANSI® A136.1 Type 1 for areas requiring prolonged water resistance. Provide primer-sealer as recommended by the manufacturer. Epoxy Mortar: ANSI® 118.3 Formula AAR-11 or high temperature resistance formula where indicated. Commercial Portland Cement Grout: Pre-blended compound composed of portland cement and additives formulated for the type tile installed. Latex-portland grout: Use latex additive in grout compatible with latex-portland cement mortar. Dry set grout: Portland cement and additives formulated for type of tile installed. Leave finished installation free of cracked, chipped, broken, non-bonded or otherwise defective tile work. Protect all floor tile installations with craft paper or other heavy covering during construction period to prevent staining or damage. No foot or wheel traffic permitted on floor for at least 7 days after grouting. Due to inherent size variation in porcelain and ceramic floor tiles, a grout joint must be used. Your installer will be able to recommend a suitable grout joint for the product you’ve selected. Coefficient of Friction (COF): ASTM® C-1028-89 is the standard test method for determining the static coefficient of friction of ceramic tile and other like surfaces by the dynamometer pull meter method. Static coefficient of friction is a term used in physics to describe the amount of force required to cause an object (shoe sole material) to start moving across a surface (flooring material). A higher coefficient indicates increased resistance of shoe sole material to start moving across a flooring material. As the degree of wear on the shoe and flooring material; presence of foreign material, such as water, oil and dirt; the length of the human stride at the time of slip; type of floor finish, and the physical and mental condition of humans. Therefore, this test method should be used for the purpose of developing a property of the flooring surface under laboratory conditions, and should not be used to determine slip resistance under field conditions unless those conditions are fully described.” Please consult ASTM® Standard Test Method C-1028-89 for a more detailed explanation of coefficient of friction and test methods. The ASTM® procedure states that “the measurement made by this apparatus is believed to be one important factor relative to slip resistance. Other factors can affect slip resistance, such as the degree of wear on the shoe and flooring material; presence of foreign material, such as water, oil and dirt; the length of the human stride at the time of slip; type of floor finish, and the physical and mental condition of humans. Therefore, this test method should be used for the purpose of developing a property of the flooring surface under laboratory conditions, and should not be used to determine slip resistance under field conditions unless those conditions are fully described.” Please consult ASTM® Standard Test Method C-1028-89 for a more detailed explanation of coefficient of friction and test methods. Note that the precision of this test as described in the ASTM® procedure indicates that the coefficient values can be expected to vary as much as 0.3. Since coefficient of friction is normally less than 1.0, test results will vary by more than 30%. Also, the static coefficient of friction may vary within and between production runs because of the inherent characteristics of ceramic tile. Although ANSI® has not established a standard value for coefficient of friction, OSHA (Occupational Safety and Health Administration) has established a recognized industry of 0.5 (wet and dry) for slip-resistant surfaces. The Americans with Disabilities Act (ADA) recommends but does not require “a Static Coefficient of Friction of 0.6 for accessible routes and 0.8 for ramps” ADA does not specifically state that 0.6 is both a dry and a wet requirement. It is important to note that any tile or other hard surface flooring can become slippery when wet or improperly maintained. The coefficient of friction of all hard surface flooring materials, including ceramic tile, can be adversely effected by inadequate or improper maintenance, such as the use of unsuitable cleaning materials or procedures. The Florida Tile Care and Maintenance Brochure explains how to maintain your tile floor. 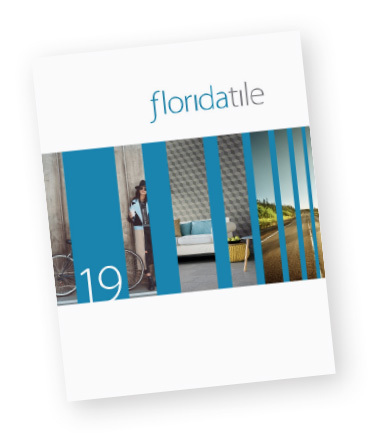 For a copy of this brochure, see your Florida Tile Distributor or call Florida Tile at 1-800-352-8453. In 2012, the method for measuring the coefficient of friction (COF) of ceramic tiles changed, as specified in the American National Standards Institute (ANSI®) national standard specifications for ceramic tile, A137.1. It changed from the ASTM® International test method C1028, which measures static coefficient of friction, to the test protocol provided in the A137.1–2012 standard in Section 9.6, known as the DCOF AcuTest®. The DCOF AcuTest® is an evaluation of the COF of a tile surface under known conditions using a standardized sensor prepared according to a specific protocol. Measurements are made with the BOT-3000, an automated and portable device that measures DCOF. The ANSI® standard A137.1–2012 also allows the use of other equivalent tribometers. Wet measurements use 0.05% sodium lauryl sulfate solution to establish a thin film as would be present when a slip occurs. The precision, repeatability, and reproducibility of the DCOF AcuTest® protocol is provided in the A137.1– 2012 standard. The test was so named for easy recognition, and to distinguish it from other DCOF measurements using different instruments and/or protocols. The DCOF AcuTest® COF measurement is not a property of the flooring but rather a measurement of the interaction between the sensor, the lubricant, and the tile surface under controlled conditions. It is useful to allow comparison between surfaces or to evaluate how a surface has changed over time. However, while the DCOF AcuTest® can provide a useful comparison of tile surfaces, it cannot, nor can any other device, predict the likelihood a person will or will not slip on a tile surface. Because many variables affect the risk of a slip occurring, the DCOF AcuTest® measurement shall not be the only factor in determining the appropriateness of a tile for a particular application. What is the required COF for ceramic tile? According to the ANSI® A137.1–2012 standard, ceramic tiles selected for level interior spaces expected to be walked upon when wet must have a minimum wet DCOF AcuTest® value of 0.42. Tiles with a lower value are not necessarily restricted to dry areas only, but rather are restricted to applications where they are kept dry when walked upon. In the case of residential bathrooms, the common use of bathmats can accomplish this. Similarly, in entranceways, the use of entrance mats can accomplish the same. tcna technical bulletin | 3 Not all products with a DCOF AcuTest® value over 0.42 are suitable for all applications. Type of use, traffic, contaminants, maintenance, expected wear, and manufacturer’s guidelines and recommendations are important and must also be considered by the specifier. Section 6.2.2.1.10 of ANSI A137.1–2012 explains this in greater detail and should be reviewed carefully by anyone involved in the specification process before picking the right tile for their next project! Moh’s Hardness: Scratch resistance of glazes is measured by scratching the glaze with a mineral of known hardness. Hardness of minerals is classified by Moh’s Scale, which lists 10 minerals according to their hardness. Each mineral in this scale will scratch those with lower numbers in the scale, but will not scratch minerals with higher numbers. Talc is classified as number one on the Moh’s Scales and diamond ten. Resilient flooring materials, such as vinyl and asphalt tile, are relatively soft and can be scratched by talc, number one on the scale. White polished marble can be scratched by calcite, which is number three. Black marble rates a four and can be scratched by fluorite. Most glazes used on ceramic tile fall in the five to six range, which is also slightly harder than most steels. Case-hardened steel, such as what is used in drill bits used for drilling holes in steel, is approximately six and will scratch most glazes. Some glazes used on ceramic tiles, designed for floor use, cannot be scratched by a case-hardened drill bit. Quartz, number 7 on Moh’s Scale, will scratch most glazes and all but the hardest unglazed ceramic tiles. Sand is a common example of natural quartz. Breaking Strength: ASTM® C-648 describes the standard test method for determining structural strength of ceramic tile. This test provides a means for establishing whether or not a lot of ceramic tile meets the strength requirements which may be required for a specific installation procedure and its ability to withstand load and impact. The ANSI® standard requires an average breaking strength of 90 lbs. for wall tiles and 250 lbs. for floor tiles. Tiles installed on floors with adhesives may require higher breaking strengths. Acid Resistance: ASTM® C650 is the standard test method for determining resistance of ceramic tile to chemical substances. The glazed surface of Florida Tile products is resistant to virtually all caustic and corrosive liquids. Typical exceptions are: fluorides and concentrated hydrochloric acid. Frost Resistance: ASTM® C-1026 describes the standard test method for determining ceramic tile’s ability to withstand repeated cycles of freezing and thawing. Ability of tile to resist damage or deterioration when tested in freezing and thawing situations such as those found in central and northern sections of the United States. The use of Florida Tile products are not recommended for exterior horizontal surfaces. Florida Tile Product Information: Florida Tile products are glazed, high-strength, flat-backed tiles. All Florida Tile floor tile products are made by the “single-fired” process, which generally imparts superior impact resistance and superior breaking strength. All products are formulated using high quality clays, specifically designed for density and strength then pressed, glazed and fired. Note that the data represented in this literature represents typical test results of randomly selected “standard” products. Shade and texture variations are inherent in these nature-inspired products. 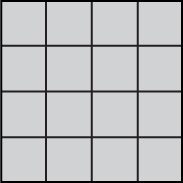 These types of tiles are packed by shade blends and not specific shades. Products of a common shade blend type may be used together. Specific product lots are identified by the last letter of the shade code. 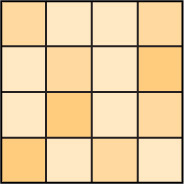 While the colors present on a single piece of tile will be indicative of the colors to be expected on the other tiles, the amount of colors on each piece may vary significantly. For example "that little bit of color" on one piece of tile may be the primary color on the next piece. 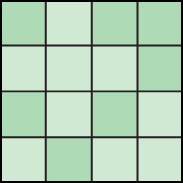 Random color differences from tile to tile, so that one tile may have totally different colors from that on other tiles. Thus, the final installation will be unique. Note: In Order to provide as many size formats as possible, some sizes may be originally pressed as larger formats and then professionally cut to size.